Though many school owners love to talk about how many students they enrolled, the language that has always resonated with me is how many students a school is keeping. Getting students is about making promises; retaining students is a sign of delivering on the promises made. 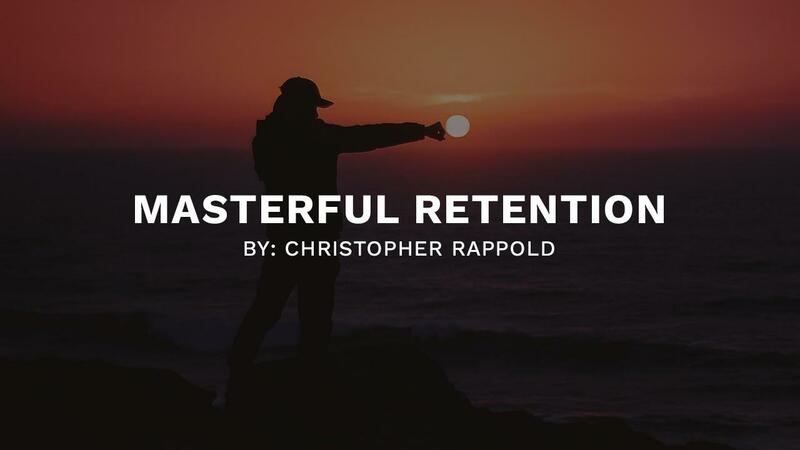 And while we would all love to claim great retention, to do so requires you know your numbers. To make it simple, imagine you have 100 students and, in a single month, you had four students discontinue their training. For that month, you could say your quit rate was 4%. For schools that keep accurate statistics, when you average all 12 months the number tends to be in the 5–7% range. The schools that I think do a tremendous job average somewhere between 2-3%. I’m sharing these numbers so you have a basis of comparison when you look at your school’s numbers to determine how you’re doing. If you want to do a better job at retention, you have to do more than just compare numbers. You have to interact with those schools and organizations that have a lower rate and find out exactly how they do it. If you dig a little, there will absolutely be implementable clues to find there. Like everything, retention — at whatever percentage your school averages — is made up of nothing more than daily habits and systems. So, model great habits and get great results. 1. Know your students. Every student on the mat has different fears, doubts, hopes, dreams, work ethic and life situations. Treat relationships equally by thoughtfully treating each of your students differently. 2. Aim for their goals. Ensure that both you and the student are aiming for an achievable goal that meets his or her interest, not yours. While we are all proud of those students who become great competitors, not everyone is focused on that as a goal. Some are training to reduce stress, lose weight or overcome a fear. Make sure you are checking in on why they are training. Success with each person is measured differently based on a myriad of factors. 3. Exceed expectations. Whatever experience you describe, do those things necessary to ensure you are exceeding expectations. If you tell a student that he or she can expect to lose one to two pounds per week and, in a month, they lose nine pounds, they are happy. But, if you tell them to expect to lose 20 pounds in four weeks and they only lose nine in that same period of time, they are now disappointed. In sparring, let’s say you tell them they’re going to find it easy to learn and a fun part of the class. But then, you don’t have a way of delivering that experience. You just called your credibility as a teaching authority into question. 4. Go the extra mile. Be ready to give a little extra to personalize the teacher-student experience. If you notice someone is having some trouble with a move, what do you do? Do you go to him or her and spend a few minutes of personal time to help them? Or, do you wait for them to figure it out on their own or come to you? If someone is doing a great job, do you let him or her know? Or, do you walk by without comment on your way to helping a student who is struggling? The little things like these in teaching are the big difference-makers in long-term instructor-student relationships. 5. “Breadcrumbs and jelly beans.” Kyoshi Dave Kovar coined this above description 25+ years ago. What he was describing was how he strategically departed from the structured curriculum and gave the students a new skill or drill to keep their learning feeling fresh and exciting. Departures like this are not only fun for students, but also add a nice change in the teaching classroom for instructors. 6. Retaining students is a combination of art and science. The “science” is knowing the numbers of quits compared to total student count. The art is knowing just the right amount of each of the preceding five artful strategies to use, to move the numbers in the direction you wish.